In the previous blog post I spoke to you about the underlying causes, nature and psychosocial conditions involved in back pain. Or, I should say, I summarized a truly enormous amount of material in to the most concise blog post that I could! In this blog I am going to outline to you some of the best methods for addressing your back pain using the latest evidence-based information. Overwhelmingly the evidence for the treatment of lower back pain supports the implementation of a structured and graded exercise program. In the west there has long been a reliance on pharmacological intervention as a first line treatment, which makes sense. If a client presents with a bout of non-specific back pain, as a medical practitioner, the simplest solution has been analgesia of some type. The problem with this approach is that it has not addressed the underlying cause of the pain itself and is only treating the symptom. There has been little actual success in managing back pain when the first line treatment is drug prescription. As a stand-alone treatment the prescription of exercise has shown tremendous promise in the available information. This includes weight-bearing, non weight-bearing and manual therapy. With non-specific lower back pain of duration of longer than 6 months the underlying pain has been shown to initiate a positive feedback loop of sorts, where the pain is present, which discourages movement, which generates more pain, which discourages movement and so on. The key, with regards to exercise prescription, appears to be to encourage people to perform regular movements that do not elicit a pain response and then to focus in on these movements. This will start to break the pain-movement loop that many with back pain find themselves in. From here we can move on to more complex or direct movements that involve targeted movement and load being placed on the lower back. These movements will seek to ensure that the pain-movement connection within the brain can be broken. What is interesting when looking at the evidence is that the type of exercise for lower back pain is not enormously important. 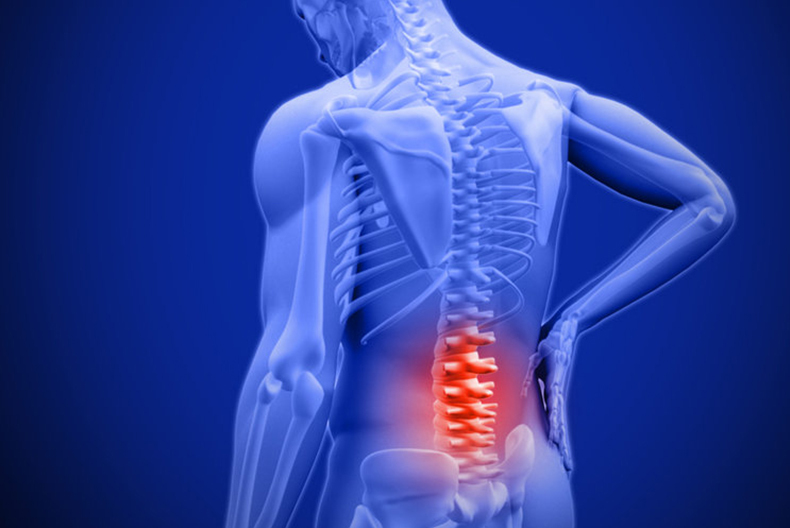 That might sound strange, but if you have suffered from back pain or know someone that has, you might have found that the pain is present in virtually all movements irrespective of what activity is being performed. In real terms this makes the treatment of lower back pain for people to be very simple when being conducted by an experience clinician. We simply need to encourage people to move through patterns of movement that do not elicit a pain response. This, however, can be easier said than done, but it does give us a lot of options. Secondarily, and very strongly encouraged as a method of first line treatment, is the use of cognitive behavioural therapy and psychological intervention. This can be a very difficult line of treatment to talk about, because what the evidence shows is that in a lot of cases the pain seems to be very significantly greater than any clinical response should be given the nature of the injury. And that is if an injury is even present. Because in a lot of cases, according to the evidence, there is no clinical trauma to suggest that pain should even be present. In cases such as this it becomes absolutely critical to the management of the client that some type of psychological intervention be implemented because the belief of pain has become so strong that it has completely manifested. The final type of intervention that is supported by the evidence is manual therapy. This involves spinal manipulation, massage and acupuncture. A moderate amount of evidence exists for these therapies as a second-line treatment option in conjunction with an exercise or movement and psychological treatments. It appears that the benefit in physical therapy stems from challenging the pain reflex pathway, though does not appear to have any benefit when used as a first line treatment. So, after all of the evidence is summarized, the suggestions for managing back pain most effectively are fairly simple – move! It doesn’t appear to matter very much whether the movement is loaded, unloaded or passive, we just need to move. A skilled clinician will help to guide you on the best and most appropriate type of movement for you based on your symptoms and history. Just make sure that you take the management of your back pain in to your own hands and arm yourself with the knowledge to make the most informed choice around what you feel that you need to get moving again!